The numbers don’t lie. As of early 2019, Trojan faculty members have together amassed more than $18 million in active, federally funded research grants. Yes, the previously unprecedented figure is a vote by federal agencies in favor of USC Chan’s research excellence and expertise. But more importantly, federal dollars allow Trojan scientists to do the research today that can lead to a healthier tomorrow. 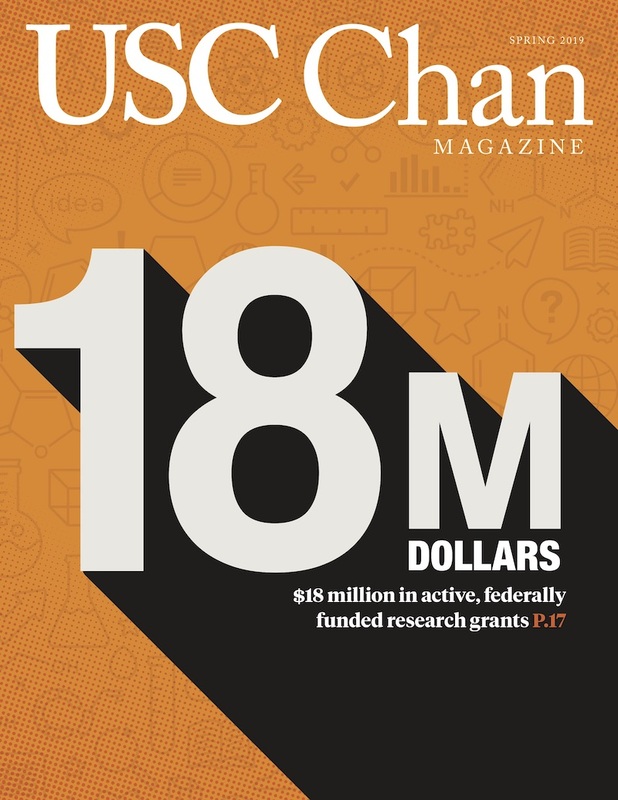 Read about three new studies — funded by the National Institutes of Health, the National Science Foundation and the U.S. Department of Defense — that have pushed USC Chan’s research portfolio into the double digit millions.